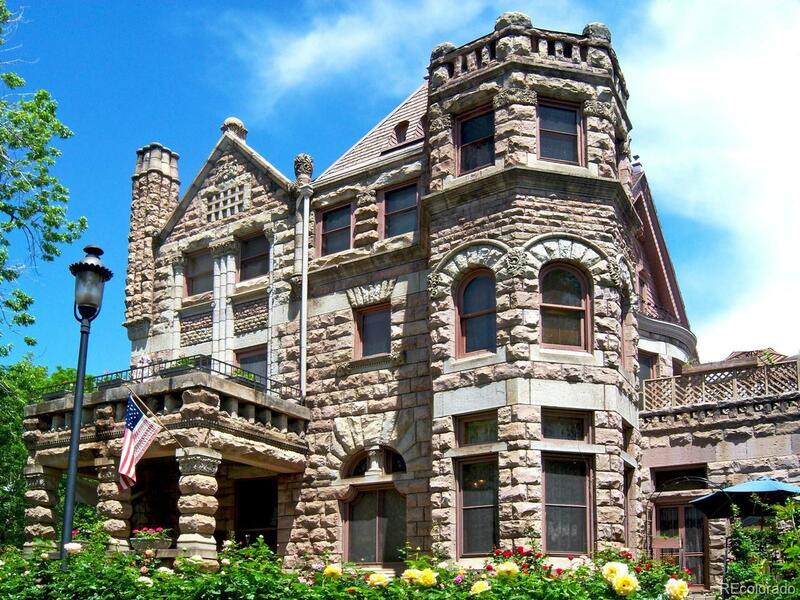 Castle Marne was the creative vision of one of Denverâs most famous architects, William Lang. The now famous rusticated lava stone house embodied the eclectic architecture of the time combining aesthetics from the Richardsonian, Romanesque and Queen Anne eras. At the time prominent families were encouraged to reach beyond our shores for inspiration for their home designs and no one did it better than William Lang. Blending local materials like lava stone from Castle Rock with timeless design. Built as a show home in 1889, the home became the residence of many prominent figures in Denverâs history. In the 1920âs it served as an apartment house, then, after a failed attempt as a mixed-use development in 1970, it became a processing center for parolees from 1979 to 1982. In 1988, the Peiker family purchased the neglected Castle and began their love affair with its restoration. In 1989, on its 100 year anniversary, the Castle Marne began its new life as the Castle Marne Bed and Breakfast.